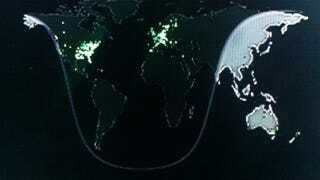 This tiny map shows where the game's 118,995 online players were signing in to log a few frags. As you can see, despite having not yet launched here, the U.S. is not underrepresented. I'm sure tomorrow will show a much brighter map.